Meet Margaret: a recent graduate from the International Development program at the University of Waterloo. Since September 2014, she spent 8 months Burkina Faso to complete the placement component of her degree. Recently, I had the opportunity to sit down with her and catch up about her placement. 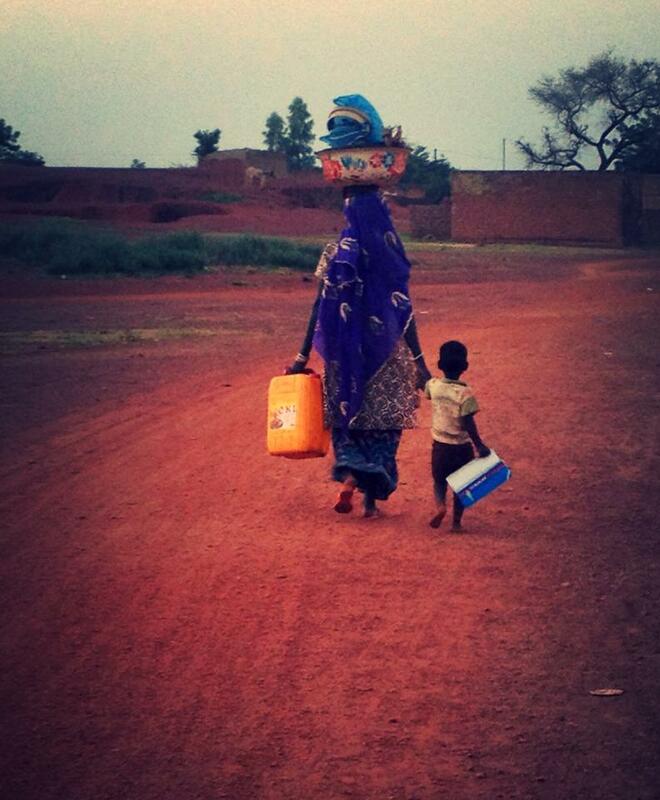 Read on to find out what she did in Burkina Faso, what challenged her and what she found was the most rewarding. 1) What was the organization that you worked for and what were your responsibilities? I worked at L’Association Solidarité et Entraide Mutuelle au Sahel (SEMUS). The organization has a holistc approach to poverty and focuses on microfinance projects, health projects, malnutrition, agriculture and the environment. My domain, specifically, was agriculture and helping farmers better produce, conserve and commercialize their crops for a better profit. A specific area of focus while I was there was based on silos. Silos were built in 2013 for onion conservation and they’re currently still in the testing phase. The first half of my placement was spent collecting technical data. Further on in my placement, I was able to approach farmers that would be stocking their onions in silos in order to get a better understanding of what they understood and what they were expecting. 2) Of your different responsibilities, which did you most enjoy? I enjoyed going to the market gardens that the farmers of this cooperative were part of. In the market gardens I got to see everything that they were doing. Despite being in dry and dusty conditions under the Sahara, the gardens still flourished and farmers were able to profit from it. 3) Walk me through a typical day while you were on placement. The majority of my days were spent in the office. My office was a bit of a walk from my supervisor’s office so he would call me if he needed me. I would come and discuss whatever was on the agenda and then he would send me back to finish my work. Quite honestly, there were a lot of slow days at work so I’d spend time at the church and its orphanage. It’s run by Americans so I got my English-speaking then, but I’d also go in the evenings to help teach English to the kids until 10pm every night. I made friends with the community there and they became my family. 4) What surprised you most when you were on placement in Burkina Faso? What surprised me most was how much they couldn’t get over the fact that I’m white! They’d call me Nassara in Mòoré. Even after 8 months, they still saw me as the white girl and it hindered my relationships from getting any deeper. I’m thinking of one person in particular, and we had spent many afternoons at my house, shared many meals together and exchanged many conversations but at the end I still sensed that I was just the white girl. That surprised me because they’re so welcoming. It’s a great culture based on humility and respect, but that was that struggle. Ultimately, I understood that it wasn’t as much categorizing as it was welcoming me in the way they know how. 5) In what aspects did your placement in Burkina Faso challenge you? How did you grow from it? Maybe even more challenging than being called Nassara was how much it bothered me. As INDEV students, we should be open-minded and used to being the outsider – which I thought I was. For it to bother me as much as it did led me to question a lot of things: was I not made for this? What’s wrong with me? This ordeal helped me reflect on myself and identify my motives. We’re all human. You can’t just ask “if I’m made for this” or “am I not made for this” because everyone has their struggles and challenges. Just because I don’t like them calling me that doesn’t mean I’m not fit for the development field. Continue reading below for the second half of #INDEVSpeaks with Margaret! Next Article Why “The Stamina”?